Foursquare iPhone App – What is it, What does it do? 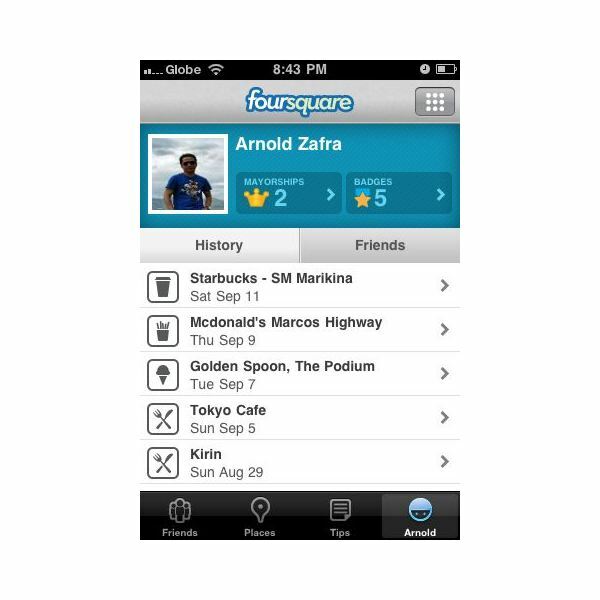 If there’s one social networking or social media tool that we all should watch out for, it has got to be Foursquare. When it comes to location-based mobile applications, Foursquare is gradually establishing itself as the next Facebook. If you have used the Foursquare iPhone app before, you might want to read our review to see if you’re missing out on the extras you can do with this iPhone app. If you’re new to mobile social networking, location-based mobile apps or the "check-in" trend, this review will help you decide whether you should give the Foursquare app a try. Simply put, Foursquare is a location-based social networking and social recommendation application. You can either use the web-based application or install the mobile app on your iPhone. Basically, the main purpose of Foursquare is to let you check in to places that you’ve visited. The app takes note of the number of times you’ve checked-in to a specific place and if you have reached the required number of times, you will earn the title of becoming the place’s mayor. Once you’ve become the mayor of a particular place, you can retain the title for as long as you continuously check-in to the place. Once you’ve stopped and somebody else does more check-ins, you will lose the title to that Foursquare member. Foursquare also awards you with badges depending on how many times you have checked-in to different places using Foursquare. 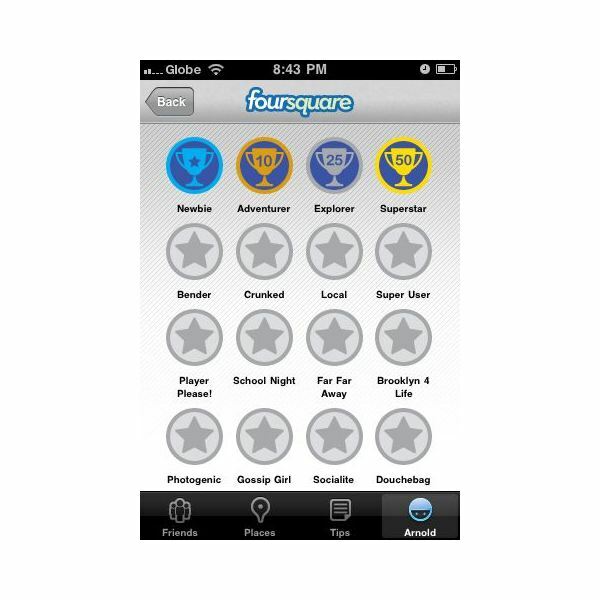 These badges are colorful icons which get attached to your Foursquare profile. Foursquare iPhone App – How does it work? In locating places, Foursquare utilizes your iPhone’s GPS features. If you are checking-in to a specific place for the first time and somebody else has checked-in to the place before, it will immediately be displayed on your iPhone. If you are the first person to check-in to that place, you can search within the app to find out if there is already an entry for that particular place. If there is no entry yet, you can check-in and add it to Foursquare’s list of places. Adding a new place is very important so that others may find it as well when they visit the place and use the Foursquare iPhone app. Foursquare also lets you add "tips" whenever you find something special at a place you are checking-in to. You can also check-out tips entered by other Foursquare users to nearby places. If you find a special place worth checking out later, you can add it to your list of "my to dos." For its social networking features, Foursquare lets you connect with your friends and other Foursquare users just as you do with Twitter and Facebook. Once connected, you can check out the cool places that your Foursquare friends have visited and visit these places later on as well. The app lets you browse recent check-ins by your friends or find check-ins by people nearby. You can also plot these check-ins on Google Maps. Foursquare also lets you create and maintain your own profile. You can check out the Mayorships you are holding as well as badges you have earned by checking-in to Foursquare so far. You can also look back at the different places you’ve been to by browsing your Foursquare check-in history. Foursquare iPhone App – Where is Foursquare Heading To? According to the latest report, there are now more than 3 million Foursquare users. While this may be too small compared to the number of Twitter and Facebook users, it is still quite an achievement for Foursquare. Will this number increase in the future? That will depend on the adoption of Foursquare by the mobile industry. Foursquare is at its finest on the mobile platform and when connected with other mobile social networking apps such as Facebook and Twitter. Can it stand on its own ground and establish itself as a fully-fledged social networking application? Only time can tell. Download the Foursquare app from the iTunes App Store.